Seven seconds remained in the 2001 Super Bowl as a running back who worked his way from factory worker to world champion, watched Adam Vinatieri’s kick soar through the uprights. 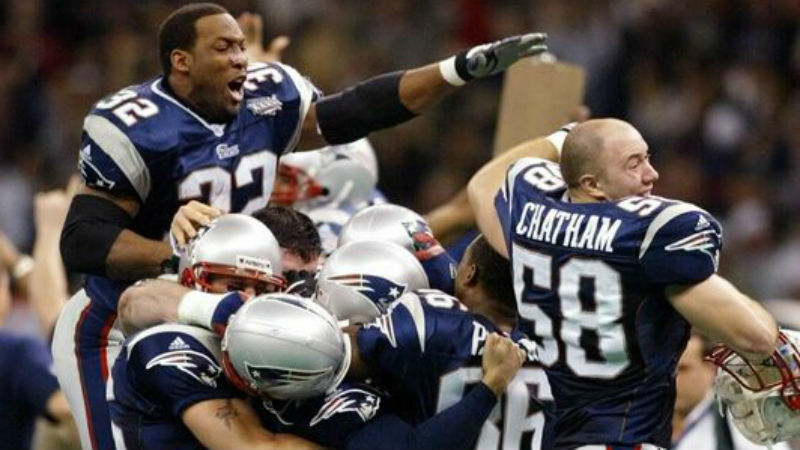 Running back Antowain Smith recounted his famous run onto the field and what was going through his mind as the Patriots completed one of the greatest upsets in NFL history. His journey to Super Bowl 36 starts in Millbrook, Alabama where a young Smith would play on the field with his cousin and close friends. Smith would play four years of Pop Warner football but soon realized that he was more passionate about another sport. With his mind made up on basketball, friends of his on the football team who always saw the potential in Smith continuously taunted and told him to return to the field. Smith acquiesced. The rest was history. Smith went out that same spring and made the football team and ended up sticking with it. Smith transferred to the University of Houston in his junior year, where he tallied 608 yards on the ground and four touchdowns in the 10 games he played that season. His statistics improved exponentially in his senior year when he racked up 1,239 rushing yards and 14 scores in 11 games. 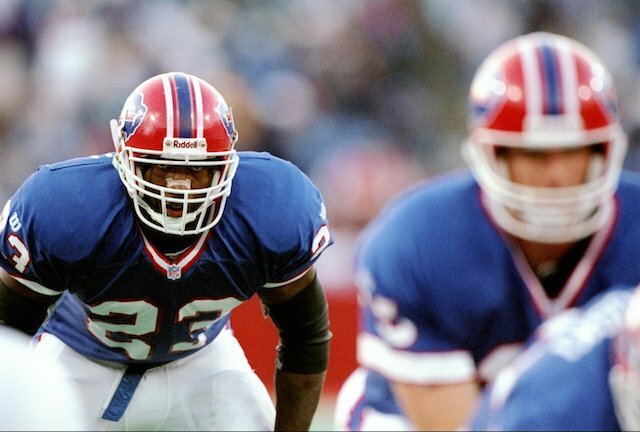 Smith entered the draft as the oldest player on the board at 25 years of age and at pick No.23, he was selected by the Buffalo Bills. The excitement was tempered after Smith looked at his new situation. Smith was released by the Bills and signed with the Patriots with visions to take over feature running back duties from J.R. Redmond and Kevin Faulk. His name would be called upon much more as the team’s franchise quarterback Drew Bledsoe went down. With a young and inexperienced Tom Brady at the helm, Smith’s role was increased. 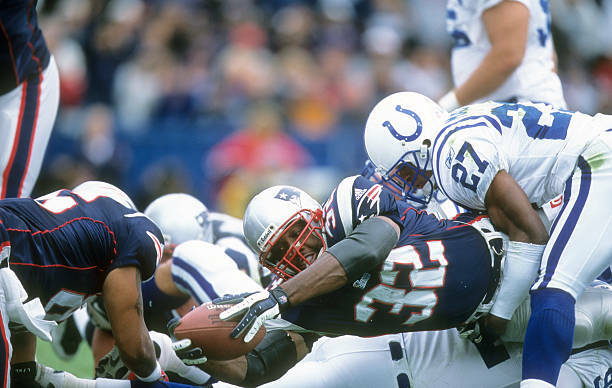 Smith finished the 2001 season with 1,157 yards on the ground and 13 total scores, the best season of his career, playing one of the most important roles in the Patriots’ unlikely season. This led to the infamous “tuck rule” game against the Oakland Raiders where Smith was leaned on with the blizzard-like conditions, rushing for a hard 65 yards. But they still had to travel to Pittsburgh and beat a tough Steelers squad to get a shot at the trophy. 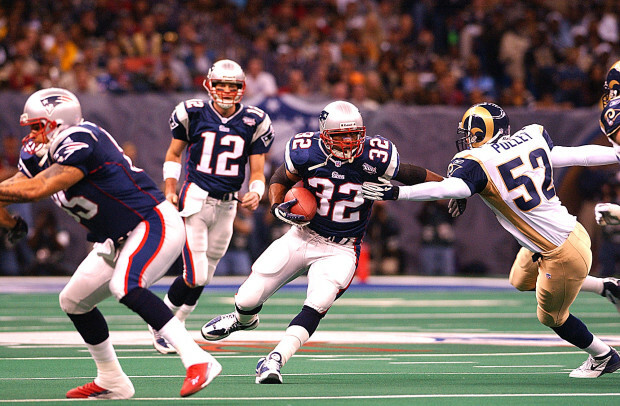 14-point underdogs, and faced with what seemed like an unstoppable opponent, Smith and the running back corps were given the task to manage the clock and keep Kurt Warner, Marshall Faulk, and co. off of the field. The group, according to Smith, was confident from their last confrontation with the team. 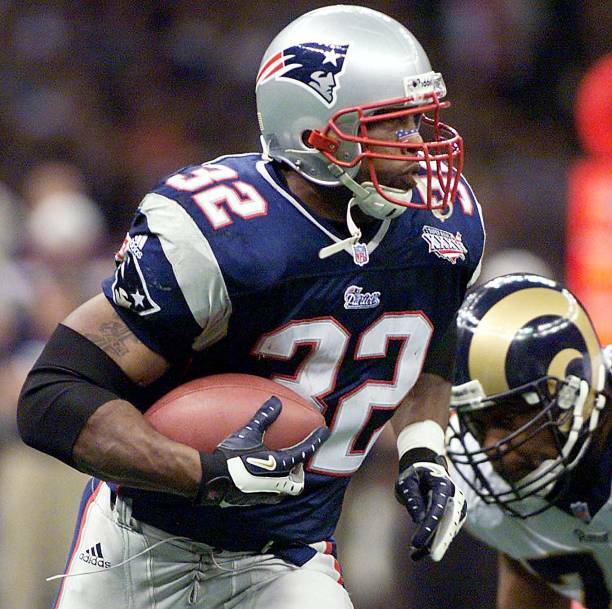 Smith rushed for another 92 yards in the Patriots’ 20-17 Super Bowl upset of the Rams and would go on to play two more seasons with the team, totaling 1,624 rushing yards and nine scores in that span. 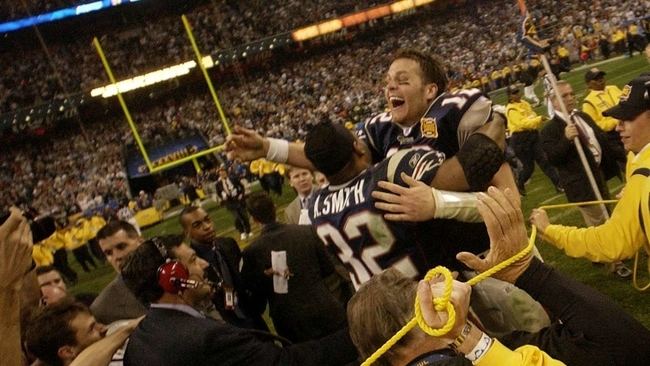 The 2003 postseason put Smith’s best on display where he totaled 252 yards and two scores with one coming in the Patriots’ second Super Bowl victory against Carolina. The Alabama native went on to play for the Tennessee Titans, New Orleans Saints, and the Houston Texans. 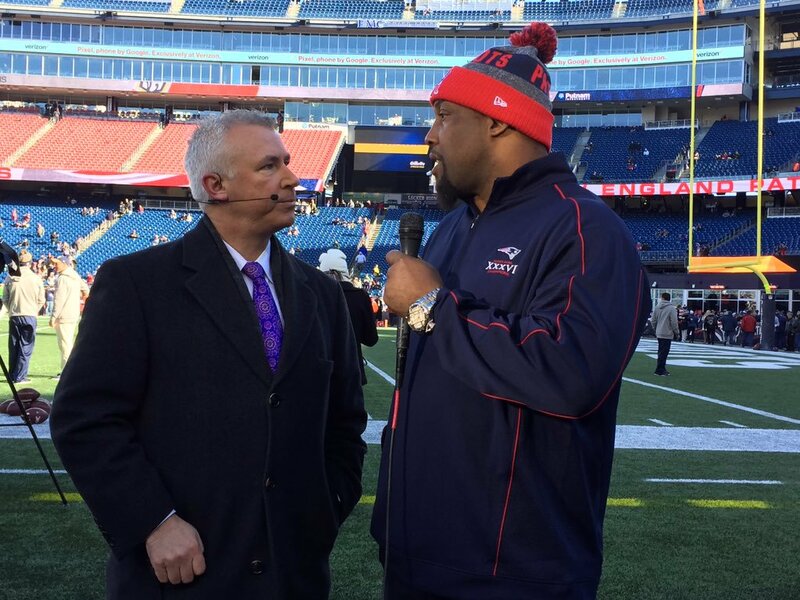 Smith considers his time with the Patriots the most special and to this day, he’s regarded as a hero in New England, being embraced by fans there and his hometown of Millbrook. Today, Smith operates an import/export company in Texas. He also takes pride in his other job, coaching young kids on the football field. Looking back now at his life, Smith is proud of everything he has done –– being able to just be a family man and being able to have taken care of his kids in his life after football.